An article by Hannah Duguid on independent.co.uk - From cave paintings to cat videos: How animals have always inspired art - reports on the new exhibition at the Turner Contemporary which examines how humans, right from the beginning, depict animals, and our relationship with them. 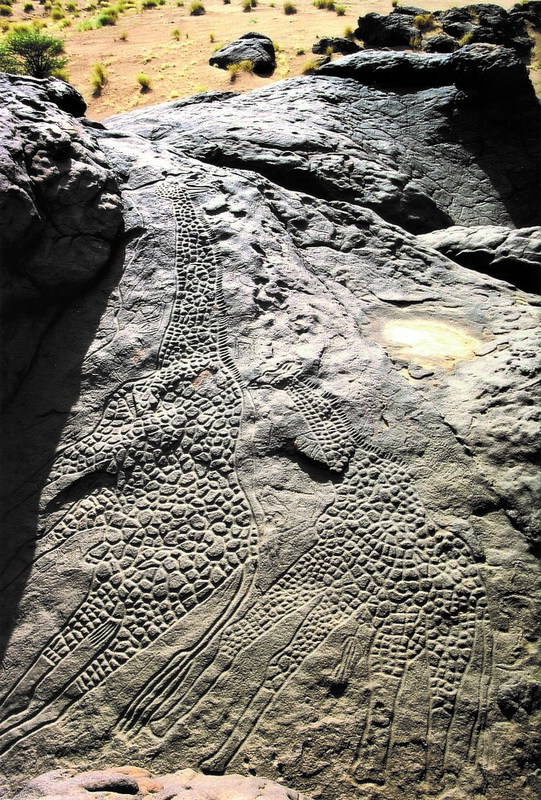 The Dabous giraffe petroglyphs in Niger are thought to be the largest prehistoric animal carvings in the world. In 2009, the artist Cory Arcangel watched endless YouTube clips of cats playing the piano. Some cats sit upright like humans with their front paws bashing at the keys. Others creep across the keyboard as though they're stalking a mouse. A pair of kittens runs haphazardly playing out an erratic tune. Candida Hofer's photographs, such as 'Zoologischer Garten Paris II' (1997), reflect a heartbreaking ennui in once-wild animals captured for our benefit Candida Höfer/VG Bild-Kunst, Bonn and DACS. Arcangel edited the clips to play a composition by Arnold Schoenberg, early 20th century pioneer of atonal music. "It was an experiment to see if cats could make atonal music go viral, whether cats could make this happen," Arcangel says. "It was a very elaborate and complicated joke." The experiment worked, his video became popular, even appearing on blogs for cute animals as well as contemporary music mailing lists. Lions depicted in Chauvet, France. Cat memes are, of course, a very 21st century art form. But the human urge to make art about animals is almost as old as art itself. A new exhibition at Turner Contemporary in Margate, UK, explores artists' relationships with animals, from the very beginning up to the present day. 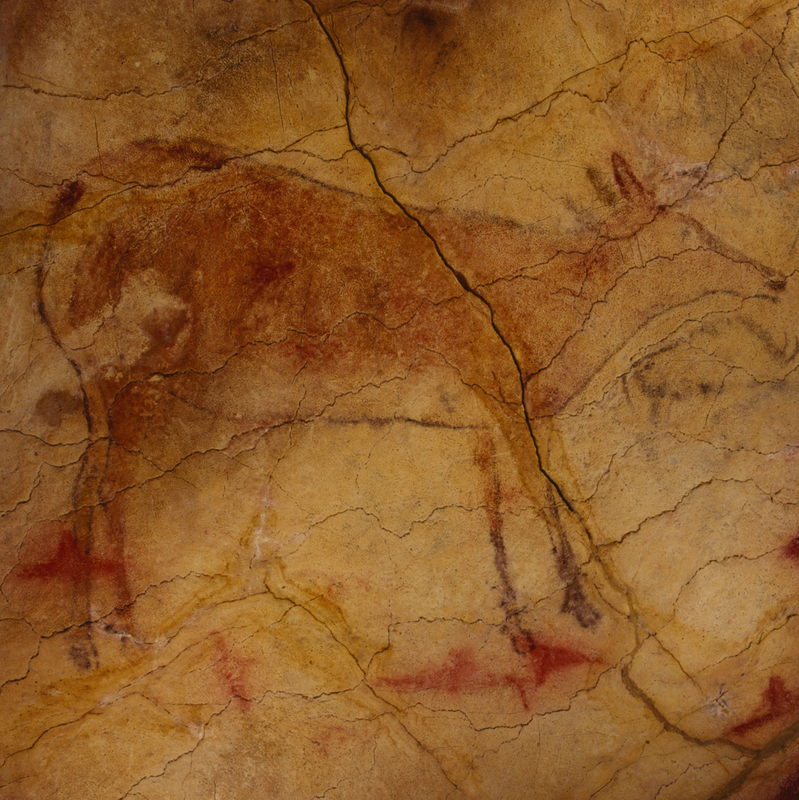 The first known figurative drawing is of a deer. 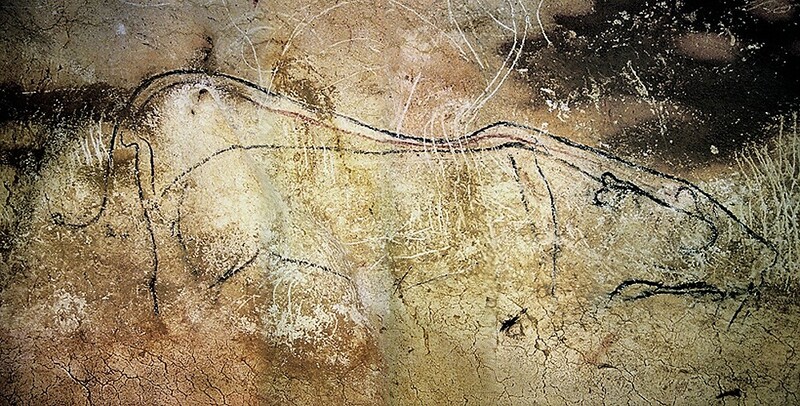 A hind - a female deer - depicted in Altamira. Image: Museo de Altamira. Photo P. Saura. Before this, for thousands of years, humans made imprints of their hands on cave walls. It is guessed that the first paint was probably animal blood. In ancient civilisations, animals became symbolic, as we imbued them with meaning. Eight of the 12 signs of the Zodiac are animals. Animal figurines in ancient Egypt formed the basis for myths, that actually explored our own human psychology.